With NFL tight end Aaron Hernandez arrested on murder charges, some New England Patriots fans aren’t exactly happy they spent a lot of money buying an official Hernandez jersey. Thus, the team says it will allow people who purchased their jerseys through the official team store or website to refund their jersey next weekend. There are some conditions to the deal, as you might expect. 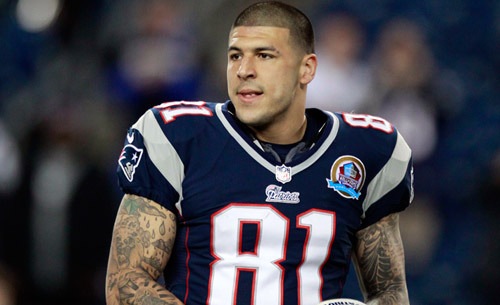 The offer only applies to Hernandez jerseys with the number 81 on them. He wore #85 during his rookie season in 2010, as 81 was already taken by veteran wide receiver Randy Moss. So any early Hernandez fans with #85 jerseys appear to be stuck with them. The exchange will also have to be done in person at the Patriots Pro Shop in Foxborough, MA, and only on July 6-7. So Pats fans who live outside the area will have to travel to make the switch or just give the jersey to someone they don’t like very much (or hope that Hernandez is vindicated and returns to playing football). The terms and conditions of the deal are spelled out in this PDF. While some fans are happy about this opportunity, others are angry that the team, which released Hernandez before he was arrested, has distanced itself from the Pro Bowl player before he’s had his day in court.